When faced with a difficult situation, some people ask why. Cindy Hitchcock asks how she can help. An EMT and Administrative Assistant for AMR’s Hunt County operation, Cindy also works standby events and street shifts on occasion. Cindy also teaches free community CPR classes and is the primary coordinator of a school-based CPR program. 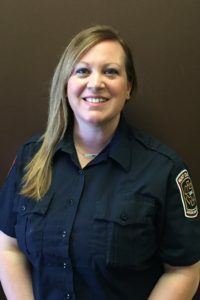 Cindy is a Child Passenger Safety Technician who spends considerable time teaching parents good practices and helping obtain car seats for underprivileged families. As president of a community-based drug prevention organization, Cindy has been instrumental in building community partnerships and increasing awareness of the dangers of drug use. If all that isn’t enough, Cindy organizes holiday food drives, breast cancer research fundraisers, and summer safety programs for kids in north Texas. Last year, Cindy was awarded Hunt County EMS Employee of the Year.